Blank Walls Are, Well, Just Blank Walls. 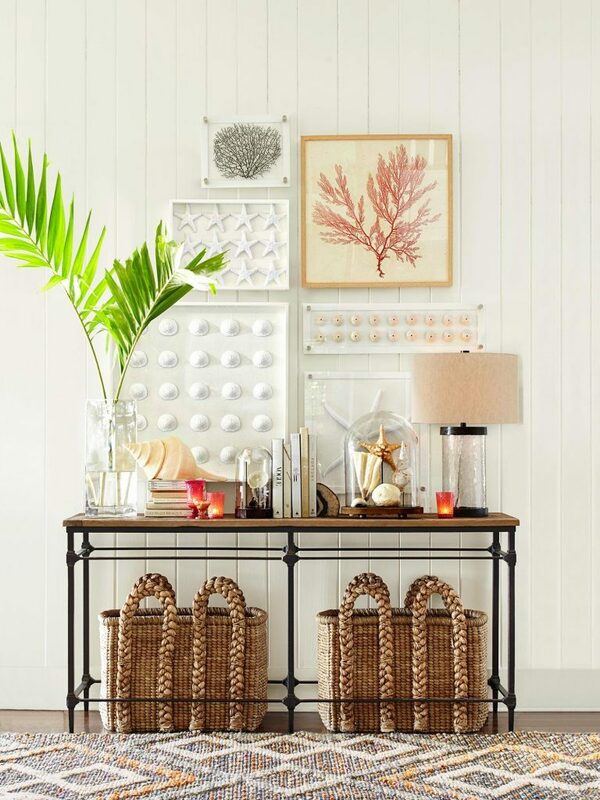 But To Truly Bring A Space To Life, Consider Creating A Gallery Wall. “Gallery walls are a great way to display an art collection while also creating a beautiful focal point for your space,” said Dara Segal, founder and CEO of Simply Framed. “When you can use your whole wall as a blank canvas, it allows you to unleash your treasure trove of art, prints, posters, keepsakes, and more into your daily life,” says Dara. They are also extremely useful when you have small pieces of art. “Small pieces can often be disregarded on their own, but when grouped together on a wall, these pieces garner much more attention,” said Phillip Thomas, founder and principal of Phillip Thomas Inc. in New York City. To make your gallery wall a work of art in itself, follow these tips from the pros. “Cohesion in a gallery wall can enhance the flow of a room. This can be achieved by keeping a degree of consistency between the works and choosing pieces that reflect a range of colours and tones used throughout the home. “Gallery walls can be both symmetrical when displaying pieces that are equally sized and asymmetrical when displaying pieces of varied sizes. What’s most important is to have a unifying element that brings everything together. This can be anything from the artist and medium to the subject matter and period. “I find it very helpful to lay out all the pieces that I would like to incorporate in a gallery wall, either by drawing their outlines or laying them on the floor. While a layout may work in concept, it can have a very different feel in person when you see the pieces and their level of saturation and prominence among other pieces. “Keep in mind the height at which pieces are hung, from both a safety and viewing perspective. Certain pieces are best appreciated from a certain vantage point – be it high, low, or at eye level. “Photography has become a major source of art for gallery walls. You might hang photographs framed in black with white mats along an entry hallway with a mirror on the opposite wall, or use contemporary LED lighting for a magical glow. The background walls can be any colour – red, gold, or even black. “Art walls don’t have to be composed of just two-dimensional art. I love to hang artefacts. For example, I hung a collection of Staffordshire dogs of all sizes on the walls of the cocktail lounge at Ireland’s Dromoland Castle. It was truly a visual feast for the guests. “For the Broadway producer James Nederlander and his wife, Charlene, we hung a wall of framed playbill covers as a powder room gallery. It was an appropriate theme for theatre enthusiasts. “If your art is in differing shapes and sizes, don’t try to group similar pieces together on the wall. Keep it eclectic by mixing them. “Spacing should be tight, with pieces five to 10cm apart, to make the design look cohesive. More than 15cm can feel too far apart; less than 5cm can create shadows from one frame to another. Keeping spacing tighter helps visually group all the pieces on the wall. If your centre piece is much larger than the others, don’t hang anything above or below it, and instead stack two pieces alongside to balance the weight of your central frame.